CNC machining propels rapid development of the industry as well as improves 5-axis CNC equipment, also pushing development of 5-axis CNC machining. CNC machining is a procedure used in most manufacturing operations and is widely used in most industries. CNC, which stands for Computer Numeric Control and deals with the use of a single or more computer to administer actions of different machine tools like lathe, router, and mill. 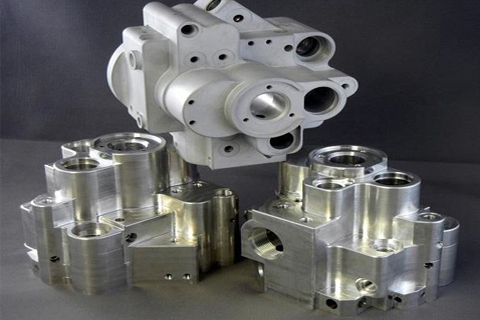 CNC prototyping can be used to produce parts from a wide range of materials like plastics and metals. However, when mentioned about the specific 5-Axis CNC machining, the first impression comes up to most people’s mind is: high technology, expensive price, and difficult to operate, but is the 5-axis machining really like this? The following paragraphs will introduce you 5-axis CNC machining from 3 aspects. This is a procedure which involves the use of CNC to move cutting equipment or different parts across five different axes at the same time. This gives room for the production of very intricate parts, and that is why 5-Axis CNC milling is very common in aerospace operations. One factor that has contributed most to the use of 5-Axis CNC machines is the need to increase adeptness and reduce the time taken from the start of the actual process to its completion. The power to avoid crashing with part holding the equipment by revolving the table or cutting tool gives room for a quick approach to part geometry is another contributing factor. Lastly, enhanced equipment life or longevity which is as a result of revolving the table or cutting equipment to keep up with the best incisive position and consistent chip load. 5-axis machining is a mode of CNC machining. The machining centers we usually use are 3-axis machining centers. The 3-axis refers to the X-axis, Y-axis, and Z-axis of the machining center. 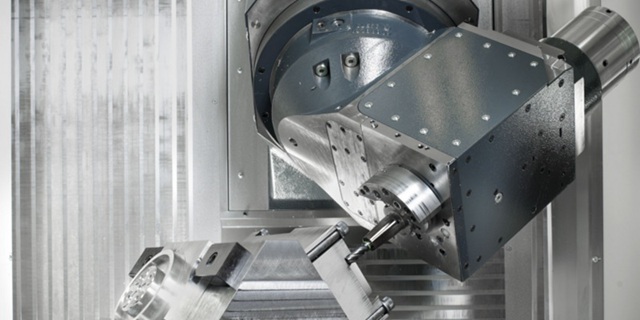 5-axis machining center is to add two rotating shafts to the three common linear axes of X, Y, and Z. Two of the three axes of A, B, and C have different motion modes to meet the technical needs of various products. There are various types of 5-axis machines on the market, mainly including the following 5 forms: The 1st is a double swivel head form, two rotation coordinates control the direction of the cutter axis directly; the 2nd is droop swivel head form, two coordinate axes are at the top of the cutter, but the rotation axis is not perpendicular to the linear axis; The 3rd is double-swivel table form, the two rotation coordinates control the space rotation directly; the 4th is droop table, the two axes are on the table, but the axis of rotation is not perpendicular to the axis; the 5th is one swing one rotate from, two rotation coordinates one on the cutter and one on the workpieces. There are a couple of operations where 5-axis CNC machines can save much of your time and enhance your current procedure. These machines come in several types to meet the requirements of the ever-growing manufacturing industry. A unique difference in 5-Axis CNC machines is the arrangement of the rotary axes. They are of three different types which include head/head, table/table and table/head. The rotary axes of this type of CNC machine are situated in the head. They are made with a 5-Axis apex which is on a particular platform and moves through a fixed table that keeps the workpiece in place. This gives the apex the chance to move around a specific piece making 5-Axis CNC machines the best for the production of large parts. They usually have limited movements in the rotary axes and tilt which is as a result of their design. In this type of machine set up, one of the rotary axes is situated in the table and the other one in the head. The revolving axis is located in the head and has a restricted range, while the rotary shaft is found in the table and its scope is not limited. Since the part rests on the rotary axis, this arrangement is limited to the number of items it can produce. One way this type of setup is slightly advantageous compared to the head/head type is in its ability to consistently revolve the part without the worry of reaching a specific limit. Here, machines have all the rotary axes located inside the table and also have a restricted scope in the revolving axis. The range in its rotary axis is not limited. This type of machine arrangement has a minimal work envelope compared to the other types. Other are fitted with definite motors which makes them work fast. The 5-axis machining is very different from the 5-sided machining. Many people do not know this and mistake the 5-sided machining as 5-axis machining. 5-axis machining has 5 axes of x, y, z, a, and b(or c). The x,y,z and a,c axes form a 5-axis linkage machining. It’s suitable for hook surface machining, unusual shape machining, hollow machining, punching, oblique hole, and oblique cutting. While 5-sided machining is similar to the 3-axis machining. It can only process five sides, but cannot do special machining, oblique holes, cutting bevels, etc. 5-axis machining has featured in high efficiency and high precision, and the workpiece can be finished by only clamping in one time. It is suitable for the processing of modern molds such as auto parts and aircraft structural parts. 5-axis machining is not only used in civil industry but also widely used in aerospace, military, scientific research, precision instruments, high-precision medical device industry. It is a high-tech method that makes impossible into possible, and all spatial surfaces or unusual shape machining can be done. It can not only complete the processing tasks of complex parts but also can quickly improve the processing efficiency and shorten the processing flow. 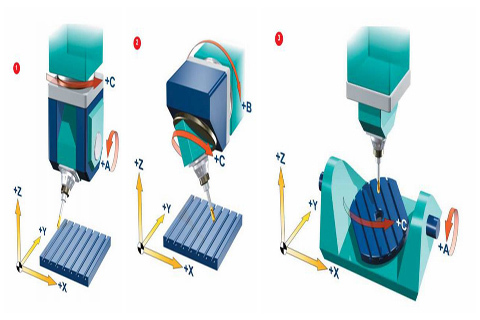 As shown above, the left is 3-axis cutting mode, when the cutter moves toward the top or the edge of the part, the cutting deteriorates gradually. To maintain optimum cutting conditions here, you need to rotate the table. And if we want to completely machine an irregular plane, we must rotate the table several times in different directions. 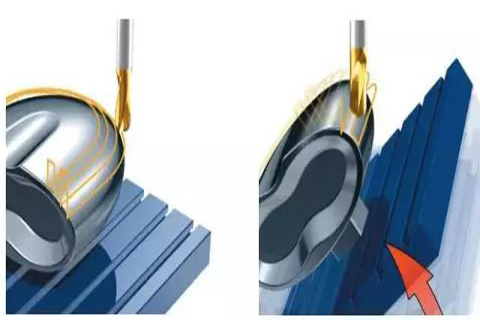 It can be seen that the 5-axis machining can also achieve better surface quality by avoiding the centerline speed of the ball cutter come to 0. 5-Axis CNC machines will help you save a lot of time compared to the other types. Parts created in most CNC shops need to be machined on five sides. 5-Axis CNC milling will help do the job fast and effectively. A little setup is also required, and this helps save time and money. In the 5-axis machining, the cutter is used to maintain a vertical condition of the complex mold processing surface, which can greatly reduce processing time. The principle of 5-axis machining is also applicable to the side milling with an angled surface, which can eliminate the rib-like lines caused by the ball cutter. This makes the surface quality of the mold more ideal, and also reduces manual work that needs to clean the mold surface. There is improved accuracy in 5-Axis CNC milling because it requires minimal setups. Additional setups will only lead to more errors. It also helps increase the longevity of a particular tool. This mostly as a result of shorter cutting tools. Through the 5-axis machining technology, the problem of re-positioning the workpiece at a complex angle many times has been solved. It not only shortened the time but also greatly improved machining tolerance. The high cost of making multiple jigs in the traditional way has also been saved. 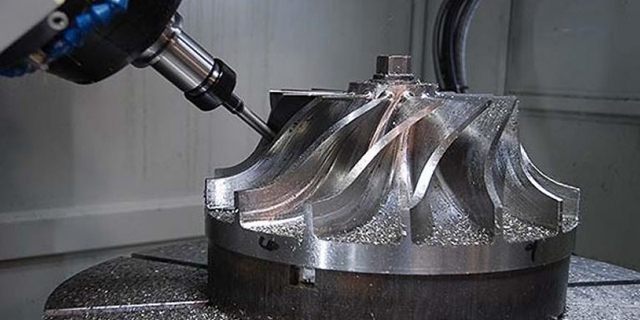 5-axis machining can process complex parts, such as drilling, taper machining, cavity crypts for complex surfaces, etc., which are not possible with traditional machining methods. This type of configuration also helps create surfaces with a quality finish. The location of the parts is much closer to the cutting tools in 5-Axis machines. The last two axes will let one use short cutting tools, which do not vibrate so much and this will lead to a quality surface finish. The other good thing about 5-Axis CNC machines is that they cut intricate shapes. Various parts will require all five axes. The extra movements in this type of arrangement give room for manufacturing angles and arcs. Before, they would need additional set-ups and unique fixtures. The 5-axis machining can effectively reduce the machining time and auxiliary time of the parts. It has a large range of spindle speed and feeds rage, allowing the machine to perform powerful large cutting capacity. 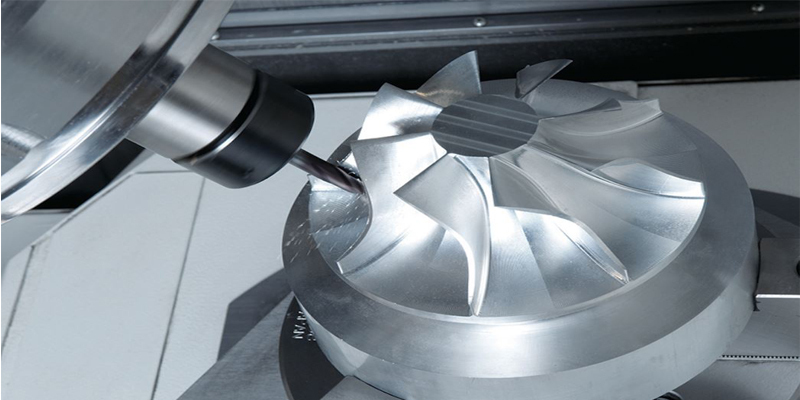 The 5-axis machining is entering an era of high-speed machining. 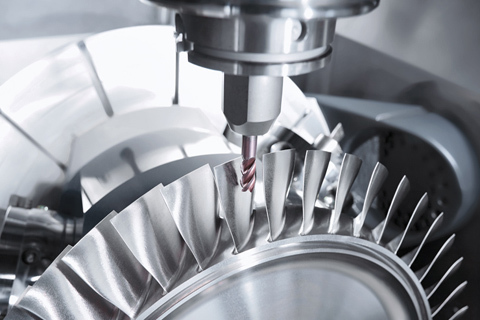 The rapid movement and positioning of 5-axis machining and high-speed cutting processing reduce the turnaround time for semi-finished products and improve production efficiency. Not many shops have a 5-Axis CNC machine. Having one will lift you a step higher above your competitors. You can give your customers something your competitors cannot offer. You should try out this type of machine setup and enjoy the benefits that they bring. 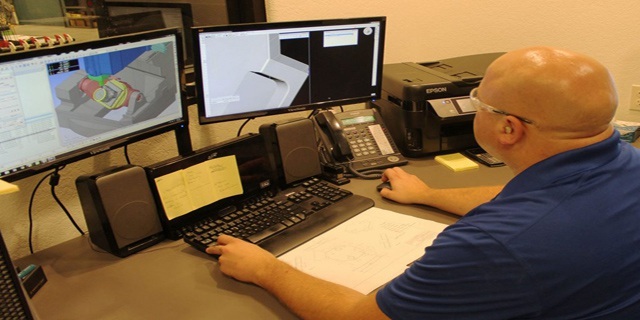 On one hand, the cost of purchasing 5-axis machines and the software needed is high, which is much higher than the cost of the ordinary three-axis machining center. On the other hand, the maintenance of the machine itself is more difficult than the general machines. These aspects also directly lead to the cost of 5-axis machined parts will be much higher than ordinary 3-axis machining. 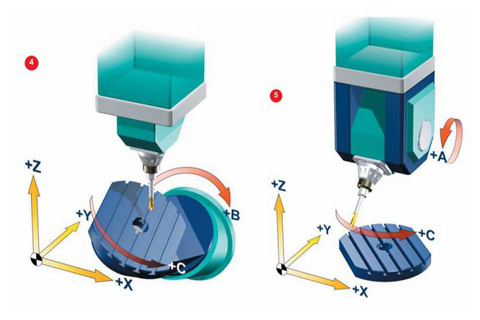 As the 5-axis machining is different from 3-axis, in addition to the three linear motions, there are two rotational motions involved, and the spatial trajectory of the synthetic motion formed is very complicated and abstract, which is generally difficult to imagine and understand. For example, in order to process the required space free-form surface, it is often necessary to pass multiple coordinate transformations and complex spatial geometric operations, and also to consider the coordination of the motion of each axis, to avoid interference, collision, and the appropriate amount of interpolation motion, etc. To ensure the required machining precision and surface quality, the programming difficulty is even greater. 5-axis machining is an advanced processing technology, and advanced technology requires the operation of higher-level talents. 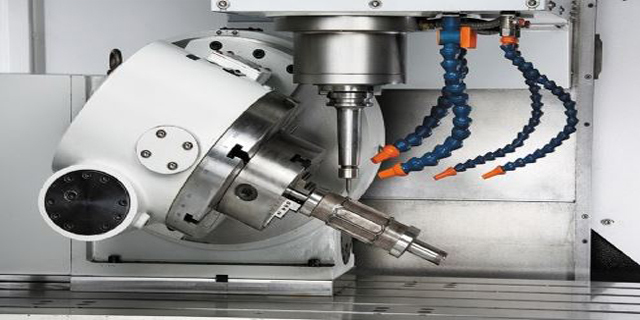 From programming to machining operating, it’s different with usual 3-axis machines. Thus the high technical operator is required, which also means a higher labor cost. CNC uses a unique CNC programming language and software referred to as the G-Code to regulate everything to do with the movement of machine tools to produce an object. Programming commands control the speed and arrangement of the cutting equipment in relation to the piece of work, the cutting speed of material into the equipment and various other factors. The whole procedure will take off with a computer-aided design (CAD) model or drawing The G-code will then be extracted from this model, and a test run will be conducted. This helps reduce the damage on specific cutting equipment or piece of work. CNC machines can move the cutting material or workpiece in various axes of motion which include the x and y-axes. 3-Axis machine can move in X, Y and Z axes to come up with 3D shapes which are the fundamental model. More developed 4-Axis CNC machining equipment bring in a fourth rotational axis of movements aligned to the X axis to give room for the creation of more complex parts. 5-Axis and 6-Axis machining equipment are accessible, and this makes it even possible to produce any shape that comes to mind. There has been significant growth in the number of industries using 5-Axis CNC milling or 5-Axis CNC machining in the base of the development of 5-axis CNC machines development. The annual growth rate of about 6% has left many wondering and wanting to know more about this procedure. As one of the manufacturers that can provide five-axis machining, WayKen has been at the forefront of technological innovation. If you have any questions or needs regarding precision 5-axis machining, please feel free to contact us.